Hayes Barton Homes provides the experience and security of a large builder with the flexibility and craftsmanship of a local custom builder. Our ownership team has over 50 years of homebuilding experience. 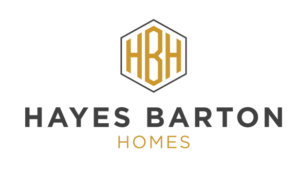 Whether you design a custom, one of a kind home, or choose a plan from our portfolio of award winning designs, Hayes Barton Homes will guide you through the sales, construction and closing process. Get in touch with us today and lets get you in the home of your dreams. Gray Line Builders is one of the premier locally owned and managed homebuilding companies in the Triangle. Its principals, Alan Hill and Justin Patsey have over 40 years of comprehensive experience in residential homebuilding; serving in almost every capacity from builder to division president for both regional and national builders. Alan and Justin have well-established reputations for delivering uncompromising quality, unparalleled customer service and exceptional value to hundreds of homeowners over the years. While growing his building company over the years, Ward Russell’s philosophy has always been a customer-centric approach and that is engrained into the culture at Legacy Custom Homes. In its early years, Legacy was exclusively a high-end estate custom home builder focusing on the 1 Millon+ price range. During that time, systems were created in order to serve the most demanding clients requiring the highest level of service, detail, and documentation (see here for details). Constantly assessing the market and adjusting our product, Legacy now serves all price ranges ranging from $200,000 townhomes up to $2 Million luxury homes. But, among all price points the same systems are in place in order to: remain attentive to the details, be diligent with documentation, and maintain the highest service level possible. This is how Legacy has maintained an impeccable reputation over the years. Being one of the largest privately held Custom Home Builders in the area, it takes an experienced and dedicated staff to maintain the highest level of service. Legacy can say that 80% of the company has worked together for at least ten years while two staff members exceed 20 years of service! Beazer has been building homes across the United States for more than 25 years, but their history started long before that–in the 1600s with an English builder named George Beazer. Nine generations later, the Beazer family and name continue to stand for quality homebuilding, craftsmanship and innovation. As one for the nation’s largest homebuilders with operations in 13 states, Beazer has built more than 170,000 homes for discerning homebuyers. Beazer prides itself on building high-quality homes in some of the most sought-after neighborhoods and distinguishes itself in the home building industry through its Mortgage Choices program, Choice Plans™ and energy efficient standards. When lenders compete, you get the right deal that can save you money every month. That’s why Beazer encourages you to shop. They’ve created an environment that makes it easy to shop. In every Beazer community, they’ve identified a group of preferred lenders for you to consider. To be included, lenders must have a comprehensive product portfolio, competitive rates and fees and outstanding customer service. The benefits of shopping can save you hundreds of dollars a year. And, when you work with a preferred lender, they make sure you’re ready to move in when your home is ready. The process is made even easier with Beazer’s Mortgage Choices Online Tool available at Beazer.com to help consumers easily get started. Beazer believes your home should match the way you want to live—whether it’s more room in the kitchen for entertaining, or more room in the breakfast nook for family time. Beazer’s Choice Plans package the most frequently chosen floorplan options for your primary living areas to give you a choice of how you want to live in the home – at no additional costs. Choice Plans allow clients more peace of mind, as Beazer continually conducts research to ensure the options available reflect what most people want and need in a home. Beazer also sets itself apart through its focus on energy efficiency. All Beazer homes are built to meet or exceed the latest ENERGY STAR® standards, a commitment the company has maintained since 2011. A Home Energy Rating Score (HERS) tests the energy efficiency of a home; Beazer has a qualified third-party rating company test every home so buyers know what they can expect in monthly utility bills. On average, most existing homes receive a HERS score of 130 and a standard newly built home has an average HERS score of 100 (30% more energy efficient than an existing home). Many of Beazer’s homes score well below 100, achieving an average HERS score of 65. These measures provide Beazer buyers with a comfortable home that saves them money over the short and long-term. Visit a Beazer sales center today to learn more or peruse the latest community offerings on Beazer.com. Through over $9 billion of diversified real estate investments (of which over $6 billion represents land developments), KLP and its affiliates have demonstrated the ability to tackle investments in a wide array of geographies and market segments. Kolter Land Partners, a privately owned affiliate of The Kolter Group, is a land acquisition and development firm based in Palm Beach County, Florida. Since 1993, KLP and its affiliates have invested in over $6 billion of developments comprising over 12,000 units. The firm currently holds land for more than 9,000 residences. KLP invests in prime market locations and focuses on providing builders with a steady supply of finished lots at competitive prices. The firm targets acquisition of raw land with entitlements in place or nearly in place which KLP develops in-house, and sells to homebuilders. Leveraging its core strengths of transactional flexibility, operating expertise and financial capital, KLP aims to establish itself as the industry’s premier developer of residential and mixed-use communities. Kolter Land Partners, a privately owned affiliate of The Kolter Group, is a land acquisition and development firm based in Palm Beach County, Florida. Coldwell Banker Howard Perry and Walston Builder Services is a full service sales and marketing division specializing in selling and marketing new homes. Established in 1979, CBHPWBS has represented both local custom builders and national corporate builders in over 500 new home communities throughout the area. CBHPWBS is the leader in sales and marketing in the Triangle area and is one of the nation’s most respected new home marketing experts. CBHPWBS provides comprehensive sales and marketing that includes buyer profile development, market research, target marketing, advertising, promotion and public relations. Also provided are professionally trained sales managers, professionally trained and dedicated on-site sales associates, a marketing department to develop and implement targeted marketing strategies and access to top relocation representatives and more than 600+ sales associates from the Triangle. In addition, CBHPWBS gets support from one of the nation’s leading real estate names, Coldwell Banker®, to help reach the most qualified buyers across the country. To provide builder services with a team of professionally educated new homes sales associates and sales managers, emphasizing profitability, positioning and excellence in new homes sales and marketing.